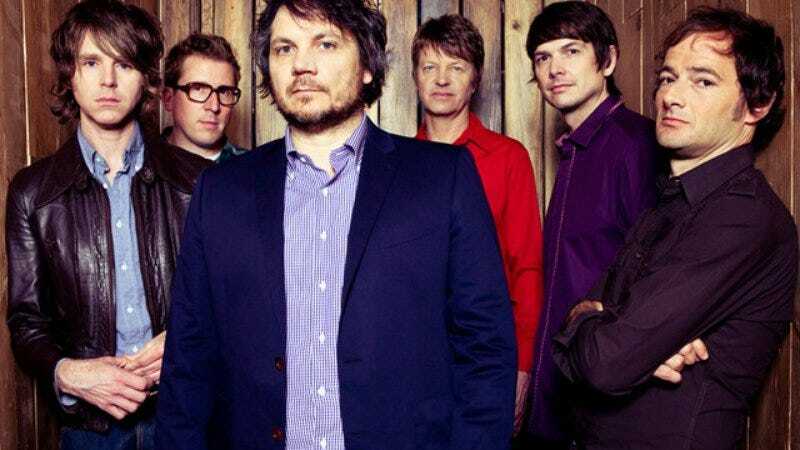 In an email sent to Wilco’s mailing list, Jeff Tweedy characterized the band’s surprise-released record Star Wars as “a jolt of joy: a fun surprise.” Although words such as “fun,” “joy,” and (on recent albums) “surprise” aren’t sentiments generally equated with the band’s music, his description is dead on: Star Wars is loose, dense, and deeply weird in unexpected, delightful ways. Starting with the short, discordant instrumental opener “EKG,” which recalls Sonic Youth’s maelstroms, the album doesn’t sandpaper Wilco’s coarser instincts or tendencies. Although concise, Star Wars’ songs are jammed full of ideas, and feature murky vocals, frayed acoustic riffs, fuzzed-out choppy guitars, and smudged distortion. Yet despite its casual vibe and moments of levity, Star Wars finds Wilco’s emotional gravitas firmly intact. The solemn “Magnetized” feels like a halting church hymn as channeled by Bowie circa Low, with its hushed background vocals and broad keyboard strokes. “Where Do I Begin,” a meditation on how frightening it is to navigate new beginnings alone, begins with vulnerable vocals and delicate guitar strums before blooming into an instrumental outro with keening riffs and backmasked sound effects. On other songs, lyrics are more difficult to decipher, which engenders curiosity and creates an enigmatic atmosphere that’s inviting. 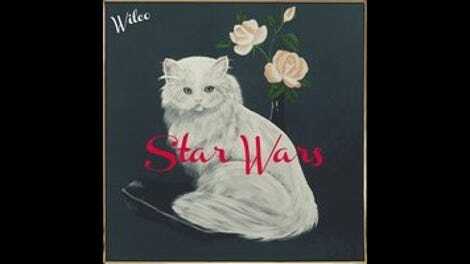 Star Wars’ closest comparison in Wilco’s catalog is 2004’s A Ghost Is Born, although that album’s simmering weirdness was far more unrestrained. However, Star Wars sounds simultaneously cohesive and chaotic: If anything, the collection feels more akin to Wilco’s roughhewn concerts, which have always blasted the studio polish off the band’s songs. Steven Hyden’s The A.V. Club review of Wilco’s last album, 2011’s The Whole Love, presciently ended with a gentle call to action: “Now that Wilco has finally found its comfort zone, it might be time to venture elsewhere for a change.” Star Wars is absolutely that journey to challenging parts unknown, and, thankfully, it’s a trip worth taking.